Zuzanna Bogumił is Assistant Professor at the Maria Grzegorzewska Academy of Special Education in Warsaw and a member of the Social Memory Laboratory at the Institute of Sociology, University of Warsaw. Her most recent book is Gulag Memory (Universitas, 2012). Joanna Wawrzyniak is Head of the Social Memory Laboratory at the Institute of Sociology, University of Warsaw. Among her recent books are Veterans, Victims, and Memory: The Politics of the Second World War in Communist Poland (Peter Lang, 2015) and Memory and Change in Europe: Eastern Perspectives (co-edited with Małgorzata Pakier, Berghahn Books, 2016). Tim Buchen is the assistant Professor for the Modern History of Economic and Social Networks of Germans in Eastern Europe at the Technical University in Dresden. Among his most recent book publications are Elites and Empires. Imperial Biographies in Austria-Hungary and Russia 1850-1918, Berlin 2015 (co –edited with Malte Rolf) as well as Akteure der Neuordnung. Ostmitteleuropa und das Erbe der Imperien, Berlin 2017 (co-edited with Frank Grelka). Christian Ganzer is a PhD student at Leipzig University, Germany. 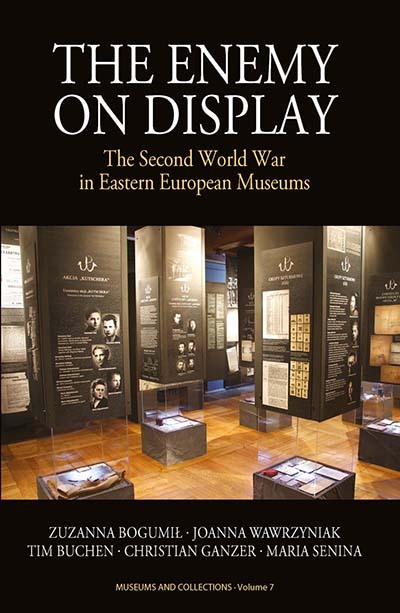 His publications include a monograph on the Museum of the History of the Zaporozhian Cossackdom in the Ukraine (ibidem-Verlag, 2005). As the chief-editor of a Belarusian-German collective he published an anthology of primary sources on the first four weeks of the German-Soviet war 1941-1945 in the Belarusian city of Brest: Brest: Leto 1941 g. Dokumenty. Materialy. Fotografii [Brest: Summer 1941. Documents, Materials, Photos] (with Irina Yelenskaya, Yelena Pashkovich et al. (eds.). Smolensk: Inbelkul’t 2016. Second edition forthcomming in 2017).